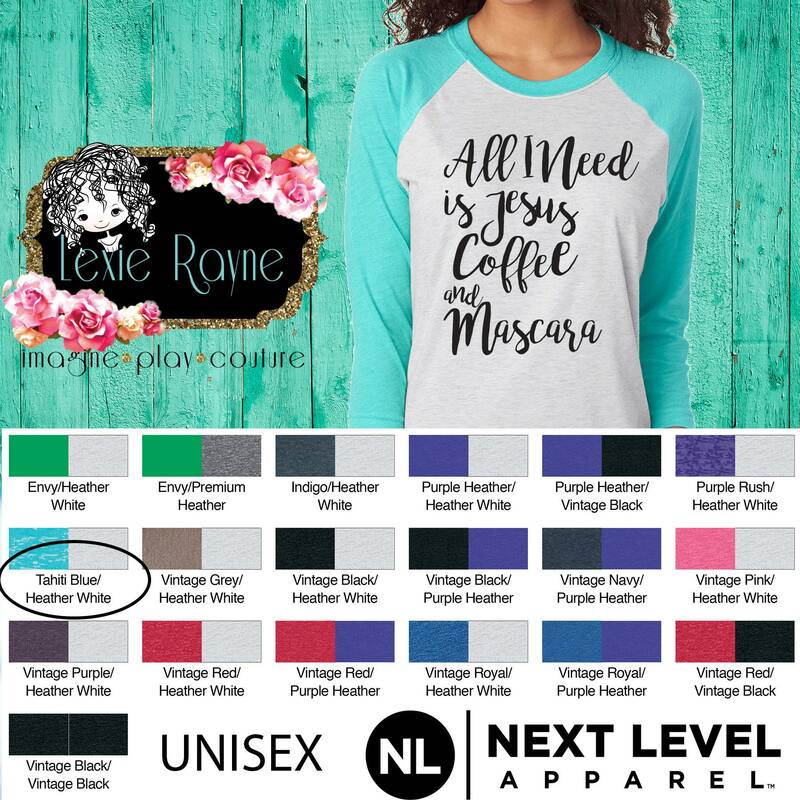 These soft, stylish and comfy "All I Need Is Jesus Coffee and Mascara" shirts are the perfect addition to your wardrobe! It's the little things that make life sweet, stylishly display your necessities. These make a great gift too!